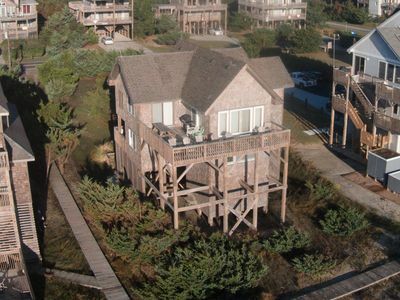 Bugler's Holiday is ready and waiting to help you have a fabulous Outer Banks vacation! 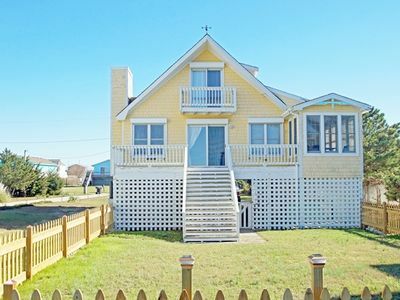 This three bedroom home is in a great oceanside location and the beach is just a short walk away. 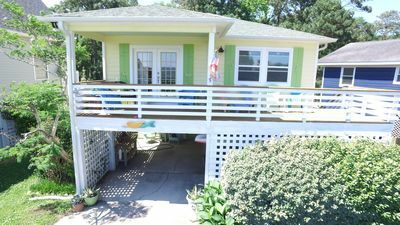 Enjoy the convenience of one-level living and relax amidst charming decor and comfortable furnishings in this well-maintained home. 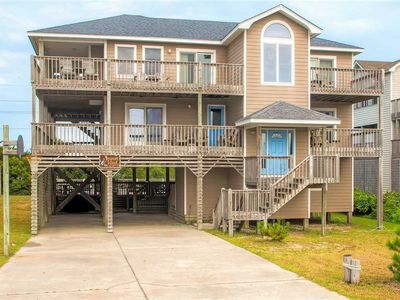 The living room area is a comfortable place to chat about the fun you had at the beach, while you're waiting for dinner to be prepared in the large, open galley kitchen. 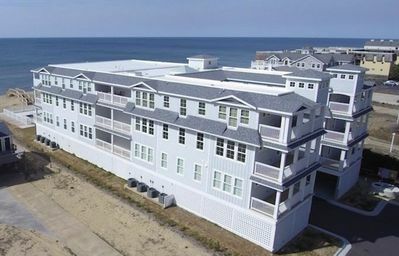 Three comfortable bedrooms will provide the perfect atmosphere to lie back and catch a few winks after a long, fun-filled day at the beach. 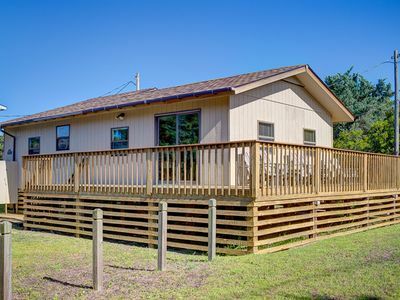 When you're ready for some relaxation, 2 TVs, a DVD player and stereo/CD player will provide some fun viewing and listening options. 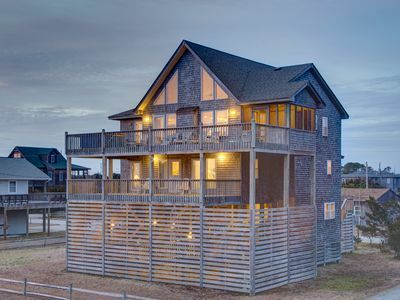 At the end of the day, you can head outdoors to the large, furnished sundeck just in time to catch a beautiful Outer Banks sunset. 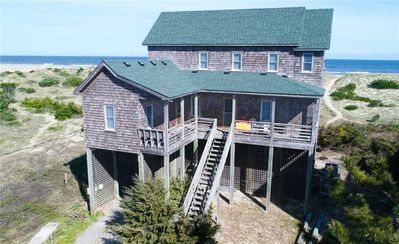 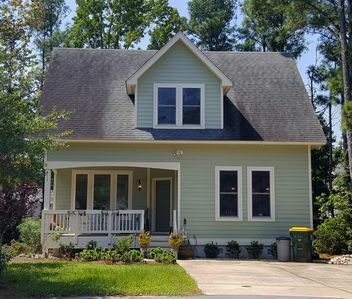 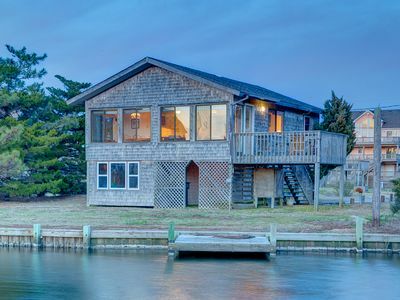 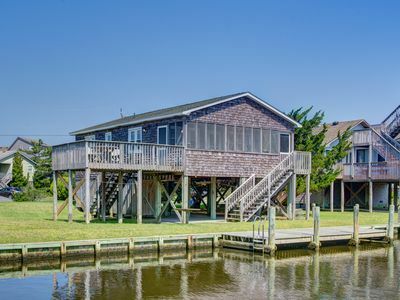 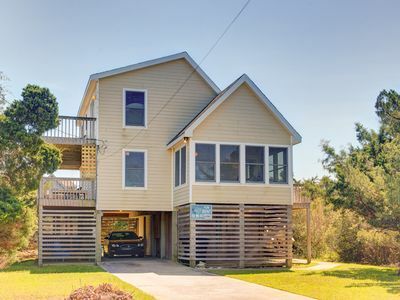 Come stay at Bugler's Holiday on your next trip to the Outer Banks to have some great vacation fun in a wonderful vacation home! 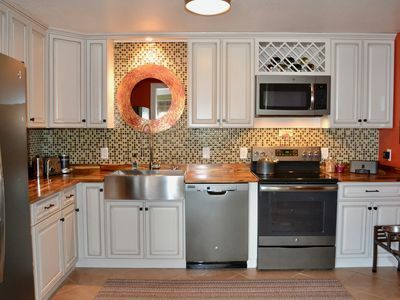 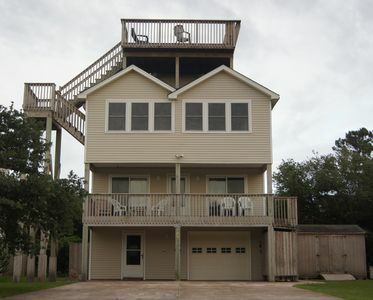 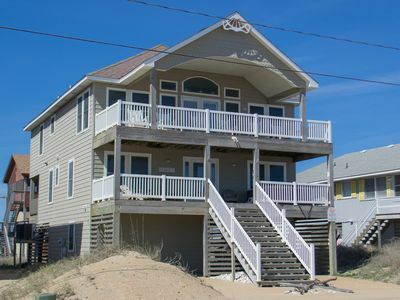 SOUNDFRONT- 3BRs, Spectacular Sunsets, Jacuzzi Tub, Comm Pool, Dog Friendly! 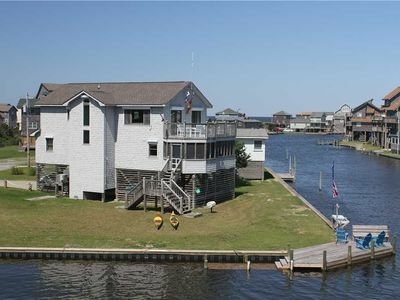 K0300 My Three Gulls. 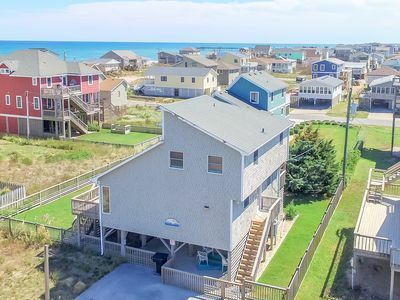 Oceanside home w/Hot Tub located in Kill Devil Hills! 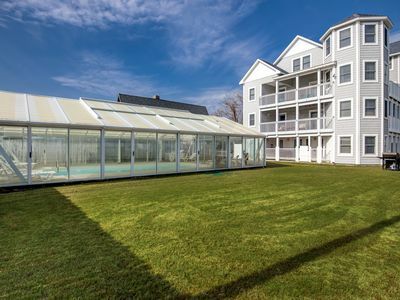 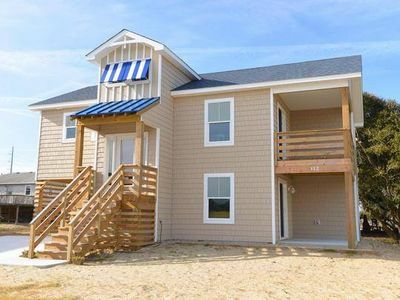 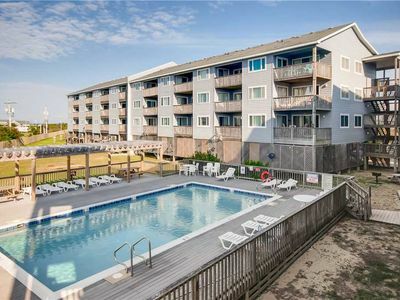 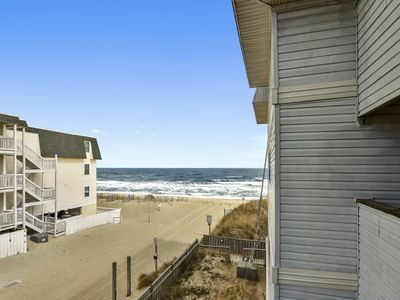 OCEANFRONT Enjoy Ocean Winds in this attractively decorated condo in Kill Devil Hills!